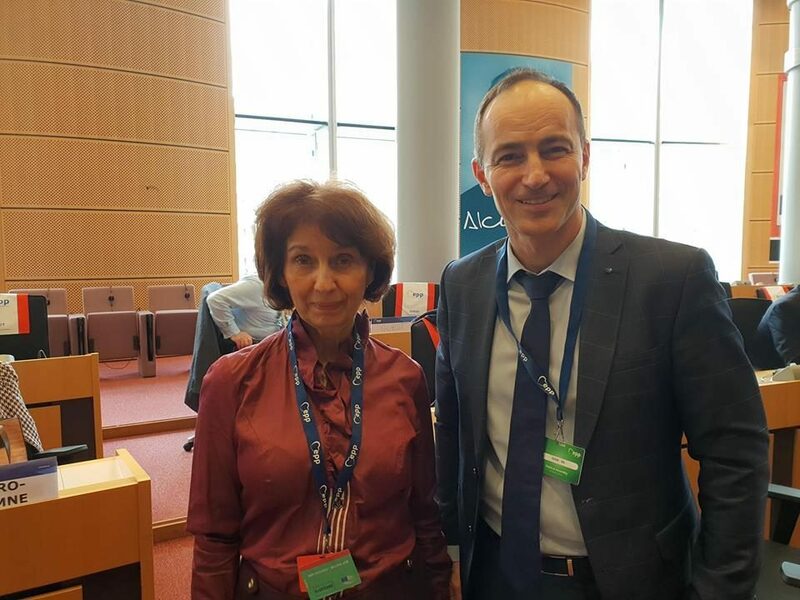 VMRO-DPMNE presidential candidate Gordana Siljanovska won the support of many attendees at the EPP meeting in Brussels yesterday, including incoming German leader Annegret Kramp-Karrenbauer, but one Bulgarian member of Parliament was not impressed. Andrey Kovatchev met with Siljanovska, but afterwards informed his social media followers that he can’t support her, despite coming from a party ideologically allied with VMRO. Kovatchev writes that this is because Siljanovska is critical of the treaty Macedonia signed with Bulgaria in 2017. The treaty official goal is to improve friendship between the two countries, but Kovatchev and many other Bulgarian politicians have used it to promote the notion that Macedonians are ethnic Bulgarians and have seized on its clause that requires jointly agreed history books as something which would help build a Bulgarian national identity among Macedonians. Unfortunately Ms Siljanovska – Davkova shared with me many of her positions on the Treaty of good-neighborly relations with Bulgaria and she has a different view of history. I sincerely regret that her negative position toward Bulgaria is inherited from the days of Communist Yugoslavia and was entrenched during the time of Nikola Gruevski and still dominates in the heads of many people in Macedonia, Kovatchev wrote, adding that it will be difficult for him or his GERB party to support her. This treaty, and the even more intrusive one with Greece, were welcomed by many in the European Union as compromises that reflect the European spirit. But, Kovatchev’s comment comes as another Macedonian – Bulgarian exchange, this one on the left, revealed how many in Bulgaria view the true purpose of the treaty signed by Zaev and Borisov.